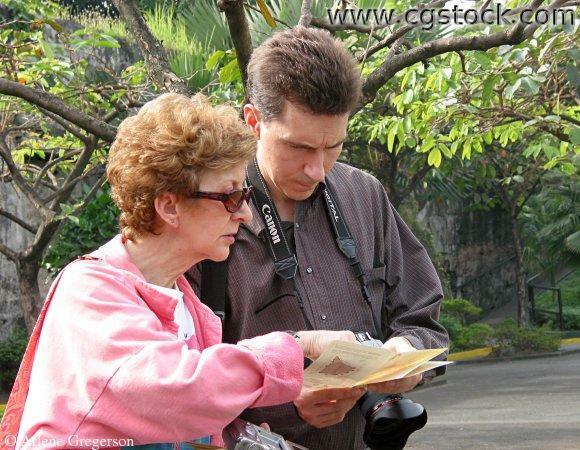 Linda and Chris (Mother and Son) are looking at a map of Fort Santiago together. She is visiting him in the Philippines from California, USA. This is in Manila.